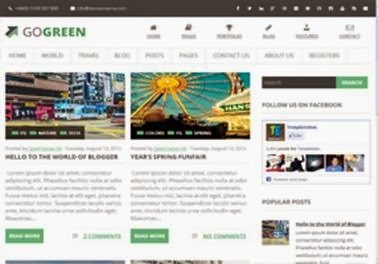 Download GoGreen Blogger Template - GoGreen is versatile Blogger template with lots of new functions and indifferent . It is elegant with a touch UI FLAT clean but not completely flat . This theme is very pure dynamics and provide sparkling shine to your blogger site .